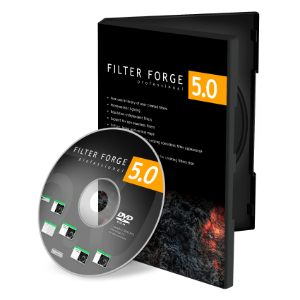 Filter Forge 5.0 Pro was available as a giveaway on March 27, 2017! Please note: the best improvement idea will be rewarded with the Filter Forge 6.0 Professional + Filter Library Backup and Librarian! Use IdeaInformer widget to supply your ideas! How would you improve Filter Forge 5.0 Pro? ok sp we have the winner for best idea or not? Wow - I love that I can use it as plug in and stand alone - this has so many options - again WOW! BEST GIVEAWAYOFTHEDAY EVER! Wow - I love that I can use it as plug in and stand alone - this has so many options - again WOW! Thanks! Awesome Program... I had bought an earlier version a year ago or so. And this newer one even installed in Windows XP, even though it isn't listed as being supported! It's nice to use an old computer for something, and I like this program a lot. At least the old one. Look forward to seeing the changes to this version. :-) Thank you GAOTD & Filter Forge!!! 4. In the IndependentUI line, if the value is false, change it manually to true. 5. Save the changes in the file and try running the Filter Forge plugin again. THE Best GOTD promotion ever. THE Best GOTD promotion ever. Thank You! This may be a good program, but to get the registration key they want too much personal information for my comfort. I have been waiting for version 5. 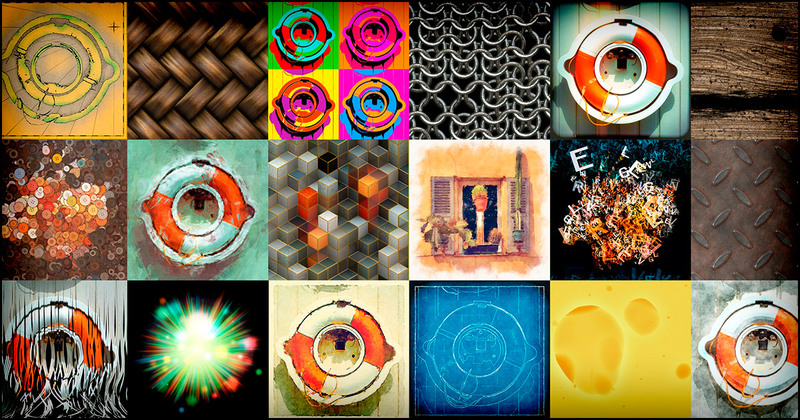 Version 4 was so cool, I even designed a filter or two of my own. I D/Led & installed w/o prob, you can import your filter lib while installing, then got the key right away. Run and choose to register. I have been waiting for version 5. 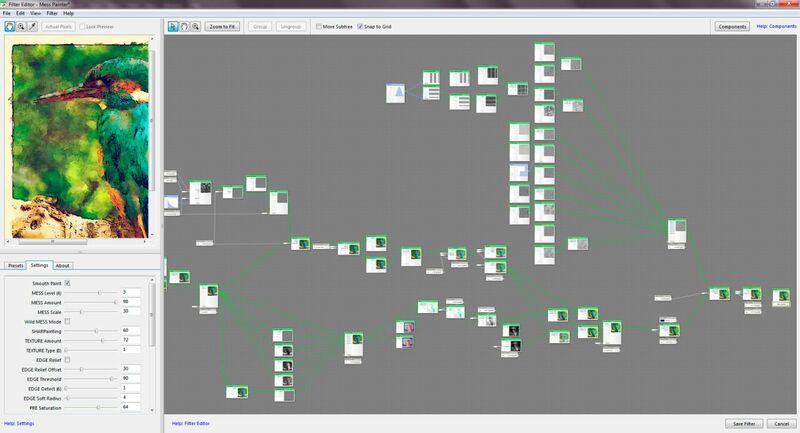 Version 4 was so cool, I even designed a filter or two of my own. I D/Led & installed w/o prob, you can import your filter lib while installing, then got the key right away. Run and choose to register. Amazing giveaway, thanks so much ! DL'd/installed/registered without any problems, but I do not get just why you have to go for a paid upgrade (according to a pop up window) for the 64 bit version. Why would ANY company, in this day and age, only make the 32 bit available like this one is, when the seriously large percentage of pc's are 64 bit? Makes no sense at all. Otherwise it seems like a pretty kool offering. Now to see if it's compatible with the image editing software i use, as I do not use the ridiculously overpriced Photoshop. Tanx GOTD. Seems like a very good offering! Doesn't show up in photoshop cc2017. I even moved it over to the adobe CEP folder and it didn't show up. So happy about today's giveaway. I've been using FF since 2008, but hadn't upgraded since 4. Love being able to download filters from the community, and there's been some great stuff in there for various projects...backgrounds, frames, grunge filters, photo filters. Version 5 definitely seems faster, and installed and brought over my filters from 4 with no issues. License key came within a minute or two. Paint Shop Pro plugin seems to be working just fine as well. Thanks so much! crabbypatty, Pls exactly what steps are required to get PS Pro plugin working. I've had no luck. Thx. Now this seems to be the best GOTD promotion ever. "Please note you have 30 days, not one day, to receive and apply your free license key." Filter Forge installed with no problem, and my gmail account got the registration e-mail in less than one minute. But when I tried to use it with Photoshop, I got a pop-up that said, "Could not complete the Filter Forge 5 command because of a problem with the filter module interface." Since the version may be important, I'll add that it was Photoshop Elements 10 that I was trying to use Filter Forge with, with no luck. Filter Forge saw my Photoshop installation and installed a plug-in to the Photoshop folder, but it doesn't DO anything. Since the version may be important, I'll add that it was Photoshop Elements 10 that I was trying to use Filter Forge with, with no luck. Filter Forge saw my Photoshop installation and installed a plug-in to the Photoshop folder, but it doesn't DO anything. Developer? Hello? Corylea, same problem here. Again, Developer? Hello? I have Filter Forge 5.9.38892.51250. Is this an older version? If so I won't bother getting it. I can say without a doubt that this is a great little piece of software, that can be pugged into Photo Shop or Paint Shop Pro. 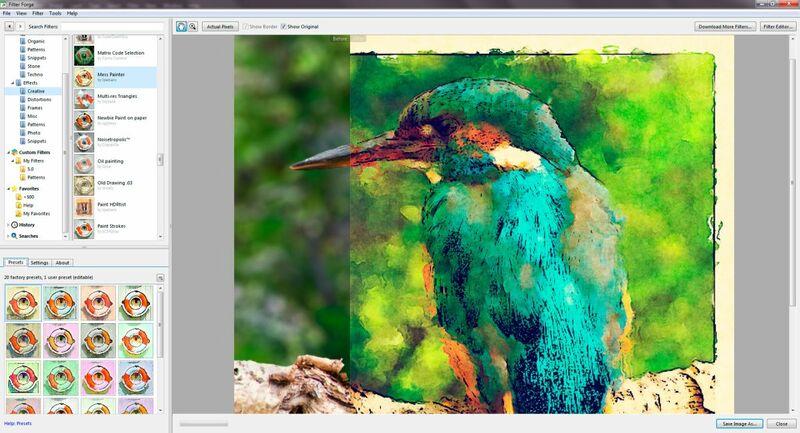 You will need to determine which versions of Photo Shop and Paint Shop Pro this version being given away is compatible with, but what it does is quite awesome. If you don't have the other applications, Filter Forge can still be used as a stand alone, which to me is a big plus.There is also a nice community of users that share their works and knowledge. I do highly recommend Filter Forge, whether it is this version or any other that I know of. I have Filter Forge 5.9.38892.51250. Is this an older version? If so I won't bother getting it. I can say without a doubt that this is a great little piece of software, that can be pugged into Photo Shop or Paint Shop Pro. You will need to determine which versions of Photo Shop and Paint Shop Pro this version being given away is compatible with, but what it does is quite awesome. If you don't have the other applications, Filter Forge can still be used as a stand alone, which to me is a big plus.There is also a nice community of users that share their works and knowledge. I do highly recommend Filter Forge, whether it is this version or any other that I know of. Enjoy! Unfortunately I do not have Photo Shop. I do have Paint Shop Pro 9, but have not used the plugin for Filter Forge with it yet. I have my version running as a standalone app. I just save my filters as .png files and import those into Paint Shop Pro and do further editing in that way. I have friends though that run Filter Forge via the plugin with both Photo Shop and Paint Shop Pro. I was just reporting the positive feedback i have read in their posts, at sites I regularly visit. My apologies if my earlier comment led you to believe i was personally running it with one of the other apps via the plugin. Your best bet would be to join the forum of Filter Forge users. Tony S, Unfortunately I do not have Photo Shop. I do have Paint Shop Pro 9, but have not used the plugin for Filter Forge with it yet. I have my version running as a standalone app. I just save my filters as .png files and import those into Paint Shop Pro and do further editing in that way. I have friends though that run Filter Forge via the plugin with both Photo Shop and Paint Shop Pro. I was just reporting the positive feedback i have read in their posts, at sites I regularly visit. My apologies if my earlier comment led you to believe i was personally running it with one of the other apps via the plugin. Your best bet would be to join the forum of Filter Forge users. Thanks for taking the time to explain your initial comment. No need to apologize; I appreciate your replying and will check the forum as you suggest. Again, thanks. L. Cleveland Major, Thanks for taking the time to explain your initial comment. No need to apologize; I appreciate your replying and will check the forum as you suggest. Again, thanks. Filter Forge 4 was for commercial and non-commercial use - Is this version the same ? Never thought that a company could be so generous that it could giveaway such fabulous professional software freely. Awesome Giveaway. Thanks a ton. Where the page to register? Dan Tass, try reading the readme file. To activate your free copy visit the page below. Fill in the form and submit your data. Then check your e-mail for the registration information. Use the license name and key to complete the activation procedure. The installer doesn't put an icon on your desktop. So you need to find Filter Forge 5.0 Pro in the program files.Go there and open the program's folder. Once there, go to the "Bin" sub-folder and right-click Filter Forge exe and create a desktop shortcut. This (=the shortcut) will allow you to launch the program. When the program is started, a small window will appear, and in it a line of text saying "Register Filter Forge " or something to that effect (I don't quite remember) will come into view, click on that line and enter the registration details. I couldn't figure that out myself. I have NO idea why the program didn't create a desktop shortcut to launch and register the program. Your post was very much appreciated !! consuella, THANKS ! I couldn't figure that out myself. I have NO idea why the program didn't create a desktop shortcut to launch and register the program. Your post was very much appreciated !! I am very happy to hear that my post helped you. Also, thank you, Frank, for your kind words. If no one has answered your question, here is the answer. Both versions can definitely coexist. I have both versions 4 and 5 on my C drive and have had for quite some time. When you install it, make sure that you choose a directory that is different from where the earlier version is installed. But AppData is a hidden directory so you don't see it by default. unruly, It you're running a supported version of Windows you will have the directory, but you will probably need to set Explorer up to show you System and Hidden files. So for example my files are: C:\Users\johnl\AppData\Roaming\Filter Forge 5 But AppData is a hidden directory so you don't see it by default. Sparky, why would you want to keep version 4 when you have version 5? unruly, you probably do have a Roaming folder. In Windows the Roaming folder is inside the normally-hidden AppData folder. To view it, in newer versions of Windows, select the View tab in Windows Explorer and check the Hidden items checkbox. 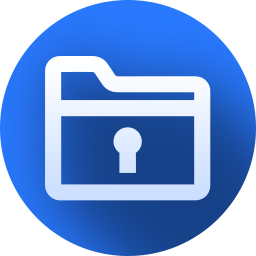 More generally, in Control Panel > File Explorer Options (or Folder Options) > View tab, click on the radio button to show hidden files, folders and drives. You should then be able to navigate to it. unruly, you probably <em>do</em> have a Roaming folder. In Windows the Roaming folder is inside the normally-hidden AppData folder. To view it, in newer versions of Windows, select the View tab in Windows Explorer and check the Hidden items checkbox. More generally, in Control Panel > File Explorer Options (or Folder Options) > View tab, click on the radio button to show hidden files, folders and drives. You should then be able to navigate to it. You can use it with Photoshop. The installer includes plugin. Besides background you can use it to make textures for 3d model and apart from it, using the filter editor you can create custom filters to transform your photos. It is sort like G-MIC add-on in Gimp with far more flexibility. Moreover, you can download from thousands of custom filters available freely on their website. Jim M, You can use it with Photoshop. The installer includes plugin. Besides background you can use it to make textures for 3d model and apart from it, using the filter editor you can create custom filters to transform your photos. It is sort like G-MIC add-on in Gimp with far more flexibility. Moreover, you can download from thousands of custom filters available freely on their website. Jim M, I bought version 5 quite some time ago, so I have not downloaded this giveaway, but the download should include a standalone Filter Forge that you can use without any other graphics software. Assuming that it also includes the filter plugin, and it sounds as if it does, you do not need to have Photoshop to use it. Any software that allows the use of 8bf filters should work. Examples include paid software like Corel Paintshop Pro or Zoner Photo Studio, but it should also work in freebies like Xnview and Irfanview. If you do not have graphics software allowing the use of 8bf filters, but you do have some other graphics software, you might still be able to use it by installing the standalone Filter Forge and putting a shortcut in your graphics software's plugin or filter directory that opens the standalone Filter Forge program. The last option is a bit of a hassle, because if it works, you have to save your photo prior to returning to the original graphics software, and then open the changed photo in your original graphics software for further editing. A true, genuine and superb giveaway. Special and great thanks to both FilterForge and the GOTD team. Lovely !! A true, genuine and superb giveaway. Special and great thanks to both FilterForge and the GOTD team. Once installed, how do you migrate the: Filter Forge 5.8bf (filter) into Photoshop V5.5 or Adobe pagemaker V7 ? Simply dropping the filter files into the filter directories of those programs is not sufficient to make them appear in the programs. There does not appear to be an executable in the filter forge installation to accomplish this. Without being able to open the filter in a program, I can't register it. Hey Filter Forge Developers, Thanks for the program. However....... HELP NEEDED :D Once installed, how do you migrate the: Filter Forge 5.8bf (filter) into Photoshop V5.5 or Adobe pagemaker V7 ? Simply dropping the filter files into the filter directories of those programs is not sufficient to make them appear in the programs. There does not appear to be an executable in the filter forge installation to accomplish this. ALSO: Without being able to open the filter in a program, I can't register it. Really appreciate your input here !!! JohnL, Thanks for the heads up. Really appreciate your input here !!! Useful if you can use it. Please create an "Easy" mode for users who need to quickly and effortlessly create and use filters, and "expert" mode for others who have the time to learn and how to make the best use of this fantastic piece of software. Simplify it! Useful if you can use it. Please create an "Easy" mode for users who need to quickly and effortlessly create and use filters, and "expert" mode for others who have the time to learn and how to make the best use of this fantastic piece of software. How to add these filters on Photoshop as plugins? Mario, It adds a single plugin when it installs (see my answer to Frank above) and all the filters are accessed through that. Do note you need to be on an image layer for it to open (so if you have an adjustment layer currently selected it will be ghosted). Does this version include the Filter Library Backup and Librarian? Have you tried a different email address? I have found in the past my Hotmail account seldom receives any responses while my Yahoo account usually receives responses right away. Steve, Have you tried a different email address? I have found in the past my Hotmail account seldom receives any responses while my Yahoo account usually receives responses right away. I have tried again this morning. The form was sent immediately, I was redirected to the acknowledgement page. So I do think it was a site problem - I was here pretty soon after the offer went live - and I reckon that their servers hadn't caught up yet. Now it's a new day, just to await the email. At least we have 30 days to enter the key. Steve, EDIT: I have tried again this morning. The form was sent immediately, I was redirected to the acknowledgement page. So I do think it was a site problem - I was here pretty soon after the offer went live - and I reckon that their servers hadn't caught up yet. Now it's a new day, just to await the email. At least we have 30 days to enter the key. .....And the email has just arrived - less than 5 minutes. Steve, .....And the email has just arrived - less than 5 minutes. It wasn't the email, it was not being able to "send" the form. That was last night, my time. It worked fine this morning; and I got the emailed key within 5 minutes. All good now. dadams, G'day mate, It wasn't the email, it was not being able to "send" the form. That was last night, my time. It worked fine this morning; and I got the emailed key within 5 minutes. All good now. Cheers. I had version 4 from here before and some filters I tried to download required V5, so many thanks to the makers of FilterForge for remembering us poor folks! Great Program! I had version 4 from here before and some filters I tried to download required V5, so many thanks to the makers of FilterForge for remembering us poor folks! This is a great program.